Wrenclaw is the latest project by Clovis Mann singer and guitar player Dan Walkner, and the debut Wrenclaw release is a sweet-sounding LP phonograph record. This is an all-around authentic document of Wisconsin life, featuring themes like making the best of small town depressed economies, growing up, exploring one’s values, and potentially moving on. Also steeped in Wisconsin tradition are the back cover photos (ice fishing, parks, waterways, snow, beer, and critters galore) and the music itself, which is a perfect blend of country, folk, gospel, blues, and classic AM radio pop rock. Walkner’s lyrics seem more personal and autobiographical than ever before, and there’s a certain vulnerability to his vocal delivery, which emphasizes that characteristic. The sequencing of the record’s eight tracks paint a picture of restlessness, and pursuit of a more pure musical experience, driven by vision and sincerity. Perhaps the most direct connection to Dan’s previous releases with Clovis Mann come in the form of the instrumentation on this release: vocal harmonies, guitar, lap steel, bass, drums, keyboards, and harmonica, with some accordion by chili chef William Walkner to spice things up a little. 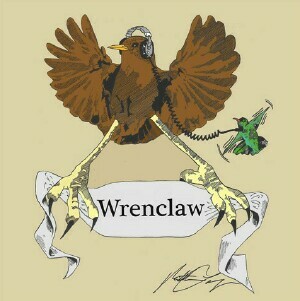 Wrenclaw celebrates with an LP release party at One Barrel Brewing Company in Madison on Sunday, November 3, 2013.